Where’s the moral outrage over the deaths of innocent civilians in Pakistan? Among the arguments the Obama Administration has made for military action in Syria is that that the alleged use of chemical weapons on civilians by Bashar al-Assad’s regime is a moral outrage that demands a response. “As a father, I can’t get the image out of my head of a man who held up his dead child, wailing while chaos swirled around him; the images of entire families dead in their beds without a drop of blood or even a visible wound; bodies contorting in spasms; human suffering that we can never ignore or forget,” said Kerry. There is no disagreement that the use of chemical agents to kill innocent people is outrageous, though it isn’t a case for getting involved in a conflict where the United States doesn’t have a national interest or doesn’t represent a clear and present danger. Though one can argue that the use of chemical weapons in the Middle Eastern country’s civil war is a “game changer,” there is much hypocrisy in the case being made by the Obama Administration for military action in Syria. Last year, researchers at Stanford Law School and the New York University School of Law put together a study documenting the traumatic effects of the drone strikes that the United States has carried out in Pakistan. Now, these attacks didn’t start under President Barack Obama. They began under the Bush Administration, though the current administration has continued to carry them out and defend the use of drones, claiming that the program is an essential to eliminate potential terrorists. But the study, Living Under Drones, shows that these drone strikes killed up to 881 innocent men, women, and children in Pakistan from June 2004 to September 2012. Researchers also documented the psychological effects of the attacks. “US drone strike policies cause considerable and under-accounted for harm to the daily lives of ordinary civilians, beyond death and physical injury. Drones hover twenty-four hours a day over communities in northwest Pakistan, striking homes, vehicles, and public spaces without warning,” wrote researchers. “Their presence terrorizes men, women, and children, giving rise to anxiety and psychological trauma among civilian communities. Those living under drones have to face the constant worry that a deadly strike may be fired at any moment, and the knowledge that they are powerless to protect themselves,” they added, also noting that Pakistanis now avoid large groups for fear that they will attract attention. They also point out that some parents have decided to keep their children at home. The drones strikes being carried out in Pakistan have brought out horror stories from victims that are not unlike the one that Secretary of State Kerry told at his press conference. “Before the drone strikes started, my life was very good. I used to go to school and I used to be quite busy with that, but after the drone strikes, I stopped going to school now. I was happy because I thought I would become a doctor,” Sadaullah Wazir told researchers. There are many other stories recounting death and destruction that have come as a result of the United States’ drone war in Pakistan, some of which you can read here. Innocent victims recall stories of loved ones who died right before their eyes, the loss of their homes, destroyed dreams of a better life, and the psychological trauma that they’ve experienced. The drones strikes aren’t even an effective means of eliminating terrorists threats, the study found. 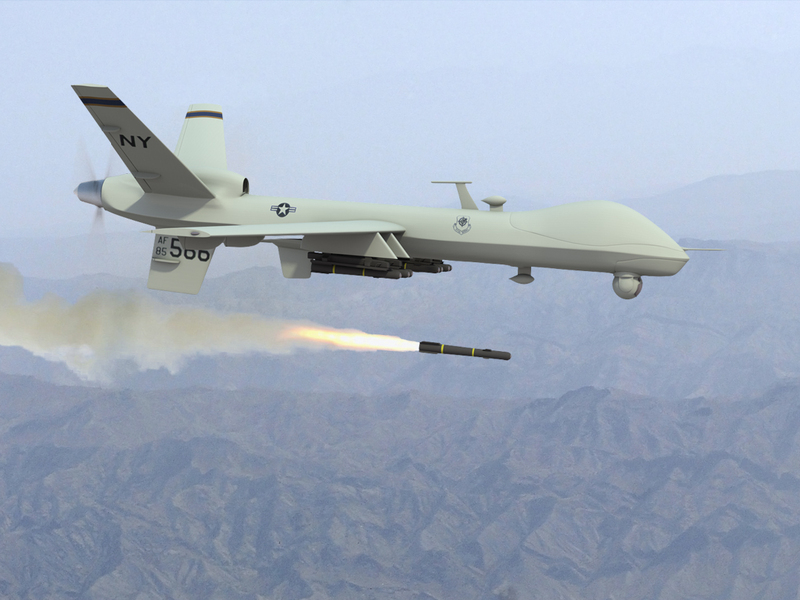 In fact, drone attacks may even serve as a recruitment tool for terrorist organizations. If the Obama Administration wants the United States to go on some sort of a moral crusade against senseless death and destruction, how about they stop killing innocent people through drone strikes in Pakistan?